The enormous gap between free market rhetoric and socioeconomic realities has become a most remarkable phenomenon in recent years. One case has been hailed as a real success story amid the general ruin: Chile since Pinochet. 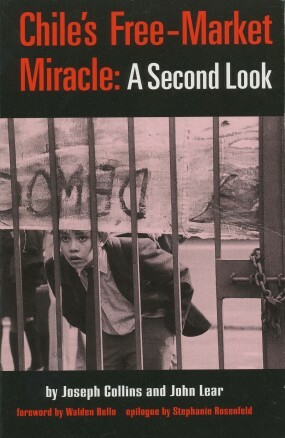 Authors Collins and Lear present a close and judicious examination of the “Chilean miracle,” demonstrating how well the “exception” fits the rule: success for the few, disaster for the many. This valuable contribution has broad implications, extending even to our own society as it too undergoes the highly selective application of liberal doctrine in the interest of privilege and power. Click here for instructions on requesting a review, desk or course adoption copy of this book. Clara Nicholls is a Professor of Agroecology and Rural development and the President of the Latin American Scientific Society of Agroecology (SOCLA).